Episode 15: Got You All In Check! Welcome to Trivial Warfare Episode 15! I have to be honest, trying to summarize this episode is like trying to sweep the beach, it's all over the place. Happily for us, I think you'll agree that this is a good thing. Let's start here - this is easily one of our funnier shows. There's a moment early in the game that almost made me choke when I was editing the show because I had forgotten about it. The constant with our shows is high quality trivia. We hit up the normal categories like History and Movies but also take some detours into unique categories like N-Words. 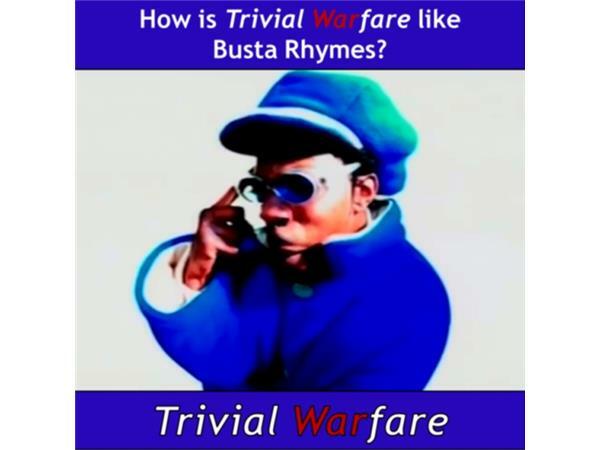 If you want to get the full show experience make sure to go to www.trivialwarfare.com and sign up for the Trivial Warfare Army as well as checking out the show notes that are loaded with pics and clips from the topics that we explore.